Good location, clean, and the staff so nice. So many food around there. It's worth to stay during the holiday. The location is very good ,near the victory park and a lot of restranuant around. Enough storage space . Space! Quite huge compared to other HK hotel room. Location! 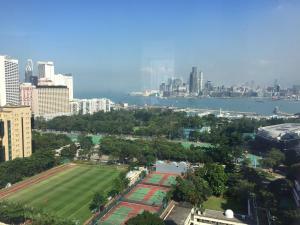 Near Victoria park and cute Tai Hang neighborhood. Various restaurant and bars, coffee shop options. Supermarket is around the corner too. Bed so comfortable. Kitchenette quit equipped. And as family with small children, their laundry machine facility is really helpful. Love the hardware of the hotel, the design of the hotel and the view of Victoria park. The room had spectacular views over the harbour. room was not as good as it appeared in the photo. Short walk to Tin Hau station, dont be afraid to use the rail system its super easy! Its a cozy, charming, very well decorated hotel with a great reception service and very comfy beds. Next to good restaurants away from all the hk hustle but close to the tube. comfy bed, great views, interesting neighborhood, hospitable staff & close to the train! This hotel is beautiful, and in a wonderful, quiet neighborhood with a gorgeous park and several fantastic restaurants. Very nice new hotel. Staff really try's to go out of their way to make you happy. Very good facilities in the room, big nice and clean. 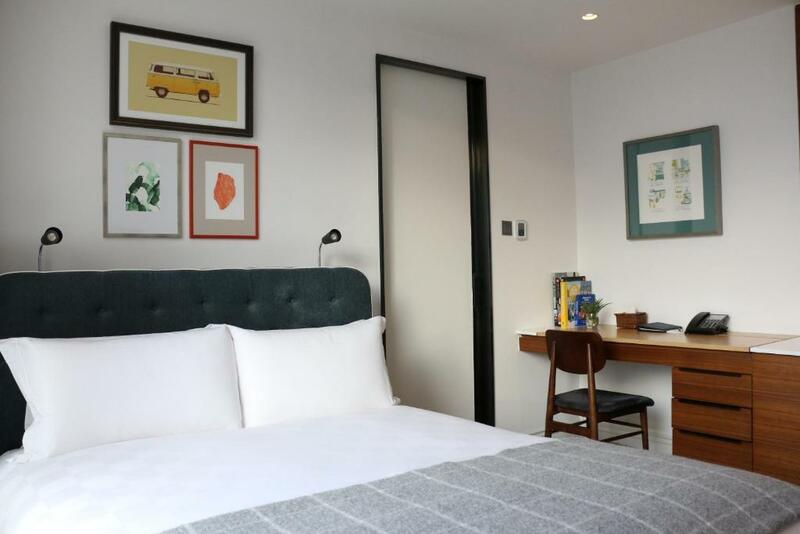 Lock in a great price for Little Tai Hang – rated 8.8 by recent guests! 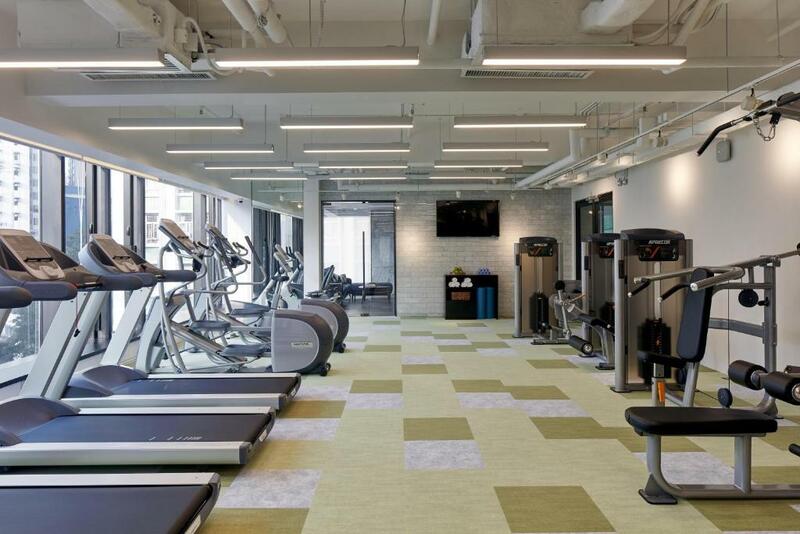 Little Tai Hang This rating is a reflection of how the property compares to the industry standard when it comes to price, facilities and services available. It's based on a self-evaluation by the property. Use this rating to help choose your stay! Featuring stunning views of Victoria Harbor with pockets of greens, Little Tai Hang offers cozy accommodations in Causeway Bay, Hong Kong. It is only a 5-minute walk from Exit A1 of Tin Hau MTR Station. Free WiFi is available in all areas. 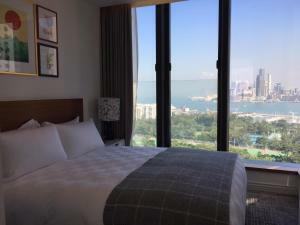 Little Tai Hang is a 10-minute walk from Causeway Bay shopping area, while Central and Wanchai can be approached within 15 minutes by public transportation. The property is a 25 mi away from Hong Kong International Airport. Designed with a loving devotion to detail, rooms here will provide a flat-screen TV with international channels and Apple TV. 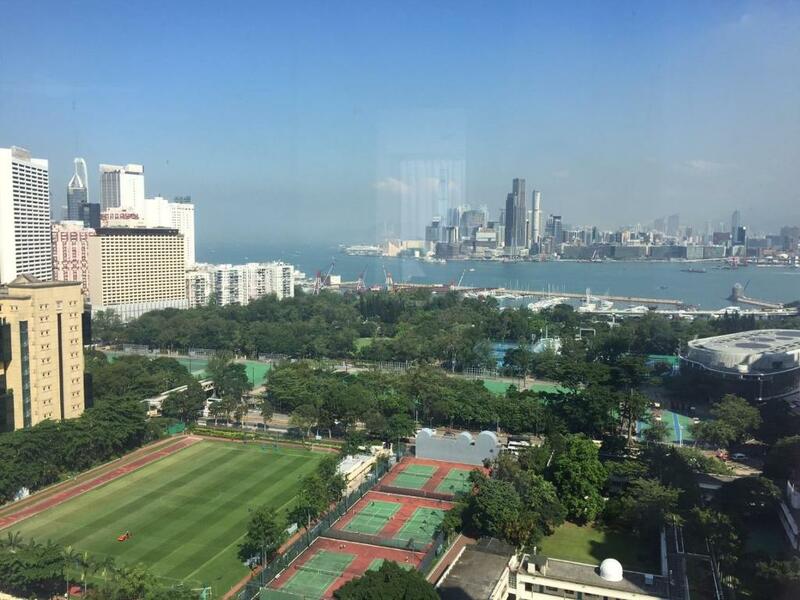 Enjoy a cup of tea while looking out at Victoria Harbor or garden, all rooms are equipped with a private bathroom. For guests' comfort, slippers and free toiletries are offered. There is a 24-hour front desk at the property, offering luggage storage service. Guests can work out at the 24-hour fitness center. A number of food choices can be found in the surrounding areas, including various local street food and small restaurants. 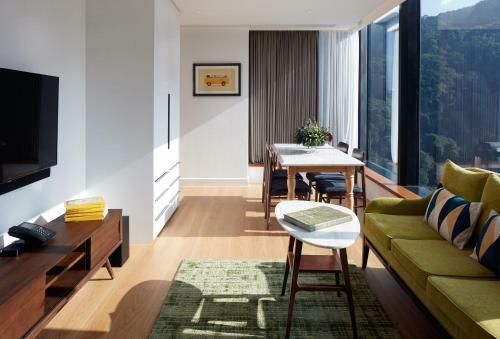 When would you like to stay at Little Tai Hang? Featuring garden views and ample natural light, this studio comes with a double bed and is fitted with a flat-screen TV, in-room safe and electric kettle. The private bathroom has shower facilities, free toiletries and hairdryer. This studio features an electric kettle, private entrance and flat-screen TV. The private bathroom comes with a sunken bathtub. 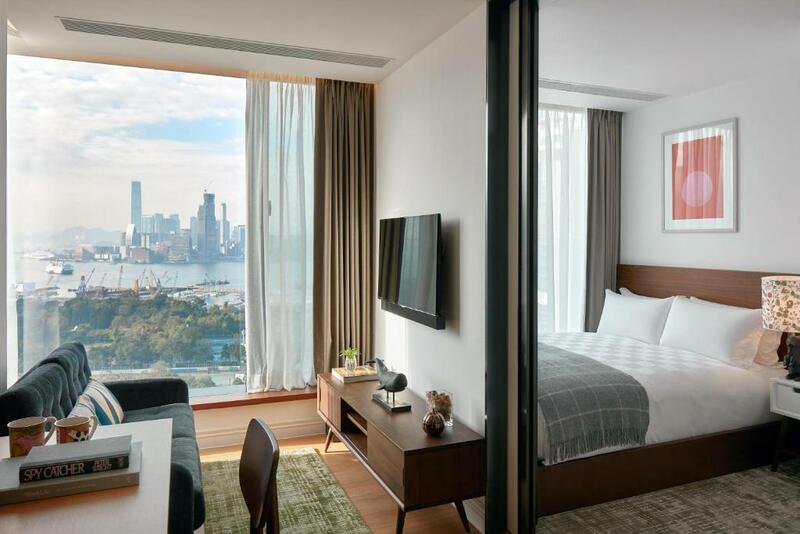 Featuring views of nightly Victoria Harbor light show, this studio comes with a queen bed and partial harbor view. It is fitted with a flat-screen TV, electric kettle and in-room safe. The private bathroom has shower facilities, bathtub, free toiletries and hairdryer. Located on the upper floors, this studio features harbor views, queen bed and air conditioning. It is fitted with a flat-screen TV, refrigerator, electric kettle and in-room safe. The private bathroom has shower facilities, free toiletries and hairdryer. Featuring partial harbor view, this studio comes with air conditioning and a queen size bed. It is fitted with a flat-screen TV, in-room safe, refrigerator and electric kettle. The private bathroom has shower facilities, free toiletries and hairdryer. Featuring air conditioning and harbor views, this studio comes with a flat-screen TV, in-room safe, electric kettle and refrigerator. The private bathroom has shower facilities, free toiletries and hairdryer. Featuring air conditioning and harbor view, this one-bedroom apartment comes with a queen size bed. It is fitted with a flat-screen TV, in-room safe, refrigerator and electric kettle. The private bathroom has shower facilities, bathtub, free toiletries and hairdryer. 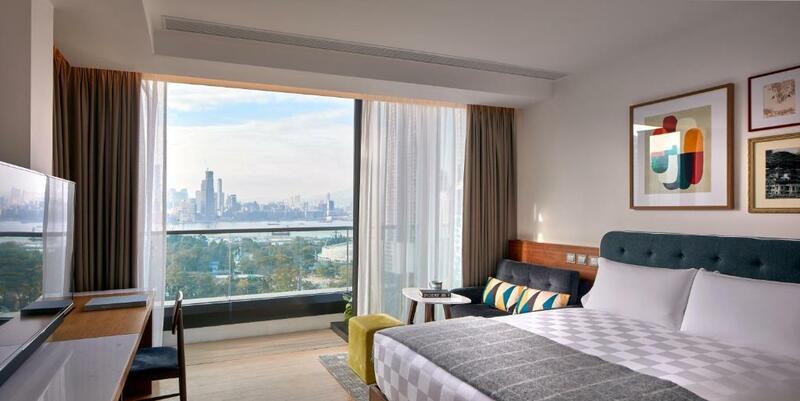 Featuring a balcony with harbor view, this studio comes with air conditioning and a queen size bed. It is fitted with a flat-screen TV, electric kettle, refrigerator and in-room safe. The private bathroom has shower facilities, free toiletries and hairdryer. Featuring stunning harbor view and air conditioning, this one-bedroom apartment is fitted with a queen size bed, flat-screen TV, in-room safe, electric kettle and refrigerator. The private bathroom has shower facilities, free toiletries and hairdryer. For guests' convenience, kitchenware, coffee machine, microwave, toaster and dining area are also provided. Featuring air conditioning and harbor view, this apartment includes a high-quality queen bed, flat-screen TV, electric kettle, refrigerator and in-room safe. The private bathroom has shower facilities, free toiletries and hairdryer. A bathtub is available in certain units. Featuring air conditioning and harbor view, this luxury two-bedroom apartment includes one queen bed and one single bed. It is fitted with a flat-screen TV, in-room safe, refrigerator and electric kettle. The private bathroom has shower facilities, bathtub, free toiletries and hairdryer. For guests' convenience, a toaster, coffee machine, microwave and dining area are also provided. Tucked away in a small and quaint corner of Tai Hang is one of Hong Kong’s most enchanting hidden gems - Little Tai Hang. The perfect antidote to bland corporate hotels and soulless shopping-mall environments, our dining and hospitality destination offers an ideal alternative to the hustle of traditional big city living. With sweeping views of Victoria Park, beguiling alfresco eateries, and lovingly curated living spaces, we are breathing new life into the characteristics that make Tai Hang what it is – a fascinating motley of local culture, quaint and charming street life, small and pristine pockets of nature, and a neighbourhood full of enchanted stories. Our service is all about real personality, our eateries are uniquely conceived and our rooms filled with bespoke, characterful and artisanal touches. Skip the touts, traps and big lights, and immerse yourself in the daily street life of Tai Hang. Meander through the lanes where neighbourhood shops and quirky cafes sit side by side, rub shoulders with fascinating local characters, enjoy the nature of nearby parks and discover the inside stories of what makes this community really tick. Stay with us and feel the welcoming vibe of a real home, and experience what the truly local and authentic culture of Hong Kong has to offer. Immerse yourself in the daily street life where neighbourhood shops and quirky cafes sit side by side. Rub shoulders with fascinating local characters, enjoy the nature of nearby parks and discover the inside stories of what makes this community really tick. Stay with us and feel the welcoming vibe of a real neighbourhood, and experience what the truly local and authentic culture of Hong Kong has to offer. Area Info – This neighborhood is a great choice for travelers interested in gourmet food, food and clothes shopping – Check location Great location - show map Guests loved walking around the neighborhood! House Rules Little Tai Hang takes special requests – add in the next step! Little Tai Hang accepts these cards and reserves the right to temporarily hold an amount prior to arrival. Please note that all prepayment is nonrefundable in case of early check out. Please inform Little Tai Hang of your expected arrival time in advance. You can use the Special Requests box when booking, or contact the property directly using the contact details in your confirmation. Location could be nearer to train station. Not convenient if heading out or back in the rain but they do provide umbrellas. Excellent decor and ambiance. Nice quiet local neighbourhood with plenty of food options. Near free shuttle which drops at metropark hotel. The beds were a little smaller than expected. The hotel was very lovely and lots of attention to detail in a very good location. Staff were very helpful. number and location of electrical outlets in one of the two rooms I stayed in. lovely hidden gem...will try to return on each trip. Asked for a very soft mattress (due to health issues) to be fair there was a topper but definitely not enough to make the bed comfortable for me. Excellent location as just up the road from where our daughter lives. Helpful and friendly staff; flexible check-in time. The bed is too soft and small, for two people you either face the wall or the edge of the bed all the time. It is also too soft for me, so my back kinda aching every morning. Love the design of the overall hotel, the neighborhood is nice, a little away from the crowded city but still easy access to MTR. Shops and restaurants are nearby and their bar is always full at night as well. Staffs are very helpful and always full of smile, definitely something you appreciate after a long day in Hong Kong. The room is definitely big enough and the wardrobe is nice to stow your luggage away so it would not crowd the room. The baby cot was too big to fit in the room which was a shame. It was definitely one of the best hotels we have stayed ever. The room was very clean and stylish, the bed was comfortable, staff were friendly and the partial harbour view from the room was just amazing. Very close to the metro station and a lot of nice local food choices around the station. Will definitely come back to stay here when we come to HK again! Very small bed for 200 Euros per night. The size of the room was OK.